I plucked this photo from the Kiki Beach IG account and aside from the two names scribbled on the bottom of the photo I don’t know much. I would venture a guess that this might date back to the 1940s simply by the look of the bathing suits Jeffrion and Felix are wearing. Anyone else able to venture a guess? While they are indeed a cute couple, their bathing costumes indicate to me, early 20th Century. 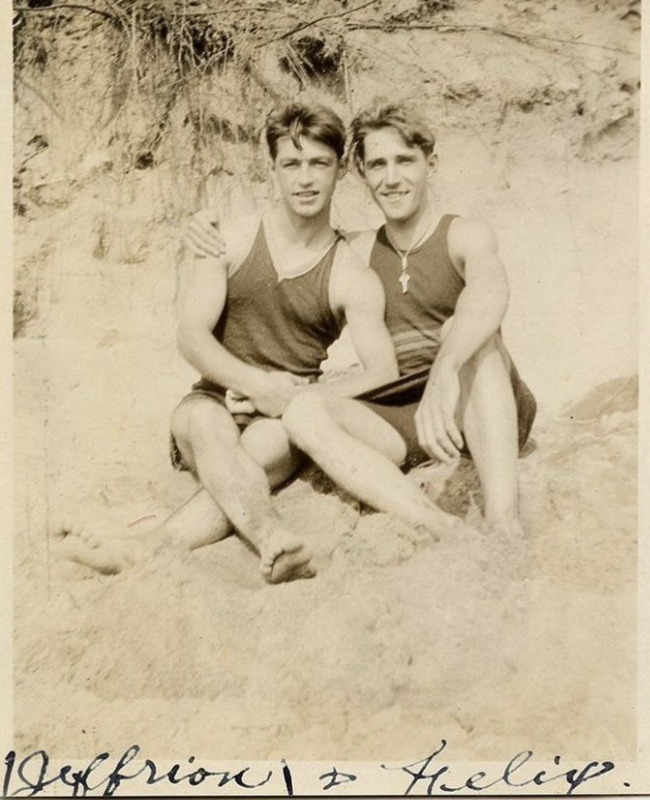 I believe, by the 1940s, they would have been bare chested and squared boxers.